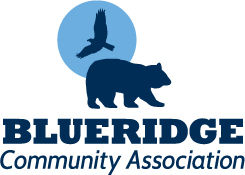 The Blueridge Community Association is the neighbourhood association for Blueridge/Seymour Heights neighbourhoods in North Vancouver, BC. Once a month, we send out the Blueridge Bulletin, an electronic digest of information about what is going on in the neighbourhood. By signing up for our distribution list, you will receive the Bulletin once a month. Don't worry, we won't pepper you with emails and we won't sell, give, share, or donate your email address to anyone else. And - you can unsubscribe from this list at any time.